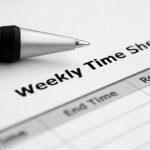 When employers require employees to relieve in a higher position than their normal position to cover absences of senior staff, there is a legitimate expectation on the part of the relieving employee that they will receive some form of recompense for this work in the form of a Higher Duties Allowance. Mike is a practical thinker with sound analytical skills. His no-nonsense approach produces robust strategic solutions to your Human Resource and IR Management problems without fuss. Copyright © 2019 Fitz Gerald Strategies. Website Development by Web Design Front.